The Mount Zion African Methodist Episcopal Church, a black church in South Carolina, caught fire Tuesday night, according to the Associated Press. Mount Zion AME, located in Greeleyville, was burned down by the Ku Klux Klan in 1995, so this fire has opened old wounds for townspeople. 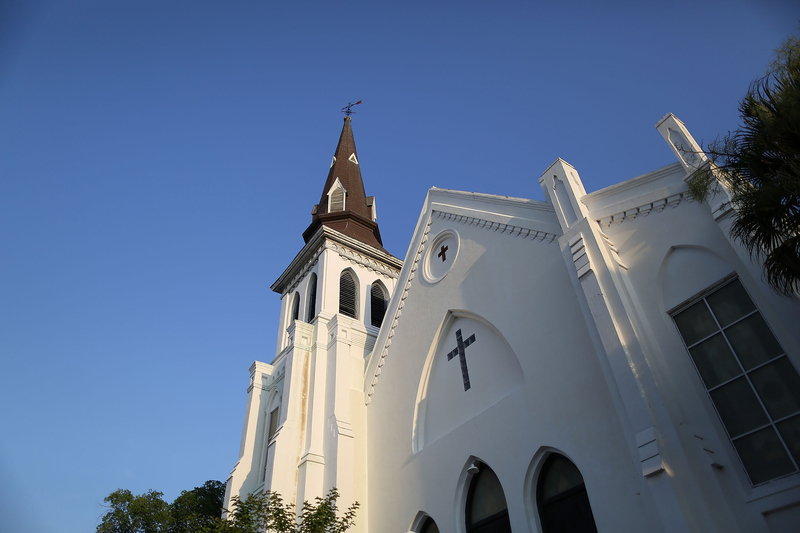 This church is at least the sixth black church to catch fire since nine people were shot and killed at the historic Emanuel African Methodist Episcopal Church in Charleston, according to CNN. So far, evidence only points to arson in two of them. And an anonymous federal law enforcement agent close to the Mount Zion AME investigation told the AP that preliminary indications say the fire was not intentionally set, but the investigation is still continuing. The alarming number of black church fires is sure to draw questions, though. When arson is ruled out in a black church fire, we shouldn't stop taking seriously the ones that could still be the result of hatred. That was a tough thing to see. It is hurting those people again. But we’re going to rebuild. If this was someone, they need to know that hate won’t stop us again. Mark Keel, chief of the State Law Enforcement Division, told the AP that Greeleyville did have strong storms and lightening that could have caused Tuesday night's blaze. The fear that this church fire could've been the result of a hate crime isn't unwarranted. Of the six church fires since the Emanuel AME shooting, only one fire has been ruled out as arson. Investigators have ruled that at least three of the fires were intentionally set, though they aren't calling the arsons hate crimes, according to USA Today. At this point in the investigations, authorities said there is no reason to believe the fires are connected. It's unclear why investigations for hate crimes have been completely ruled out for the churches that have been deemed arsons, because hate crime investigations are often based on the perpetrator's motive. So far, police haven't said that they've questioned suspects. It seems premature to rule out hate crimes in known arsons, especially given the climate surrounding race relations in the U.S. right now. It's also important to point out just how difficult it can be to prove arson. The single most suspicious thing about these fires is that they came so close together and so hard on the heels of attacks on the Confederate battle flag. That is a revered symbol for the radical right. This is a nationwide attack on the black church. We're taking it very seriously.